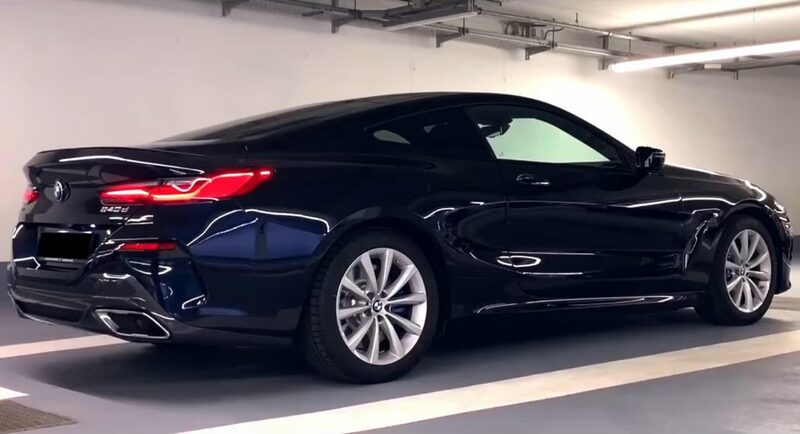 The new BMW 8-Series Coupe has already been subjected to several reviews and acceleration tests. Most of the time, though, the videos depicted the 850i xDrive petrol-powered model. However, there’s also a diesel version as well. It’s called the 840d xDrive and it’s the most affordable 8-Series right now. It is powered by a 3.0-liter twin-turbo six-cylinder making 320 PS (315 hp / 235 kW) and 680 Nm (580 lb-ft) of torque – but, unlike Europe, North America misses out on that model. Sprinting to 100 km/h (62 mph) takes 4.9 seconds, according to BMW, and hitting the electronically limited 250 km/h (155 mph) top speed is a walk in the park. There aren’t many places on earth where one can travel that fast legally, but Germany’s highways still has have no speed limit zones. That’s where this example was unleashed, proving that it’s not only very fast, but it sounds so good that you’ll often forget that you’re driving a diesel-powered car. In its home country, the 840d xDrive Coupe starts from €100,000 (equal to $112,000) without any options. Then again, it’s definitely not aimed at the masses, but rather at the wealthy enthusiast who constantly puts many miles on the clock but, at the same time, likes to flex its muscles a bit from time to time – which is exactly what’s shown in he video right below.